"In the Bhagavad-gita it is said that one should 'prostrate oneself at the feet of the wise, rendering him all forms of service & question him with a guileless heart again & again', is the only means to attain spiritual knowledge. "The process of speculation without approaching the bonafide spiritual master is simply a waste of time. In the Caitanya Caritamrta, Lord Caitanya affirms this principle, when he says that a fortunate living being while wandering in different species of life gets the chance of meeting a bonafide spiritual master by the causeless mercy of Krishna. "In the Vedic literature there is a nice story about Dhruva. This Dhruva understood from his mother when he was only five, that God can be found in person in the forest. Dhruva went to the forest in search of God. The Lord Narayana in heaven or in the heart of Dhruva understood the sincerity of Dhruva's purpose & sent Narada, His great disciple to initiate Dhruva in the matter of Krishna Consciousness. "This incident confirms that by the grace of Krishna, Dhruva was able to get the help of Narada as his spiritual master. Therefore, Krishna Consciousness is a parallel process in worshipping the Supreme Personality of Godhead & the Spiritual master simultaneously. 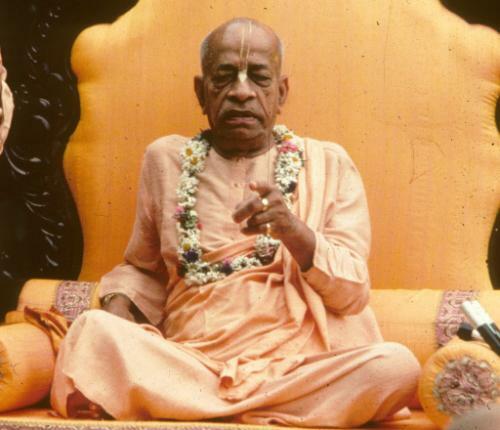 Your desire to become the servant of the servant of Krishna is very pious. Lord Caitanya desired the same thing in order to set an example, though he was Krishna Himself. The Bhagavad-gita confirms this."